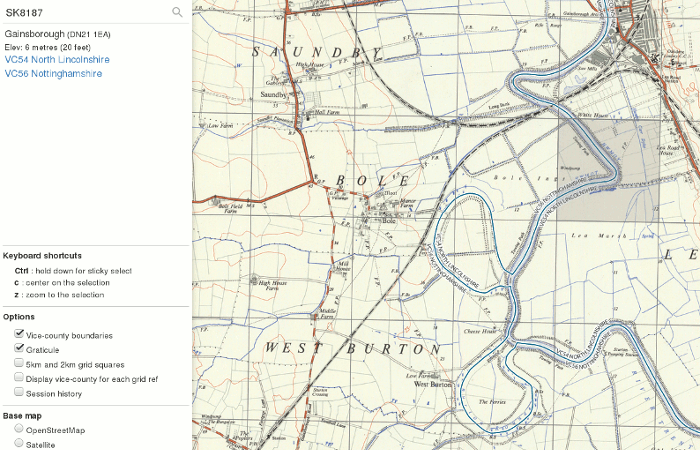 Plot grid references on an interactive map. 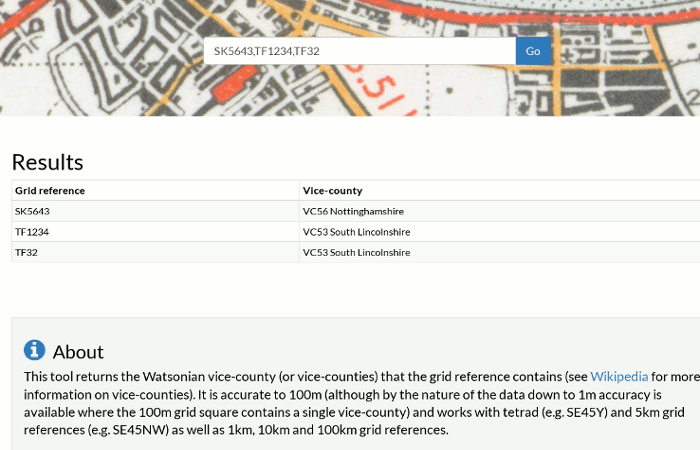 Show the Watsonian vice-county (or vice-counties) that a grid reference contains. 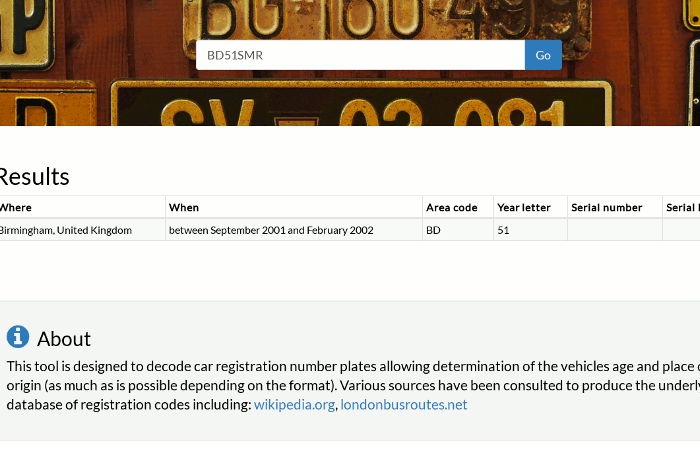 Decode car registration number plates to show the vehicles age and place of origin.